Magicard, one of the world’s leading ID card printer manufacturers, announces UltraSecure, a new line of technology cards designed for all proximity access-control systems. To create the perfect card, Magicard distilled 20 years of experience in designing card personalization equipment into the ideal access control credential. UltraSecure cards are the most convenient and cost-effective solution to upgrade or replace regular HID clamshell, ISOProx or ISOprox II cards. 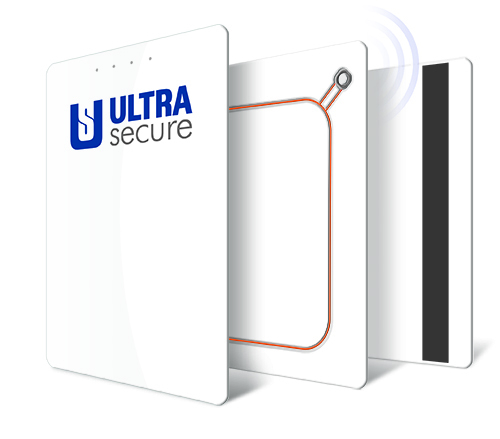 UltraSecure cards are fully compatible with most proximity access systems including HID, Bosch, GE, and Honeywell. Many legacy proximity cards have a bulky “clamshell” design. UltraSecure cards have a thin, credit-card ISO CR-80 form factor that matches the durability of “clamshell” cards by incorporating high-strength PET composite plastics into the card design. An advanced read/write data chip allows the UltraSecure card to hold one of 137 billion unique security codes. 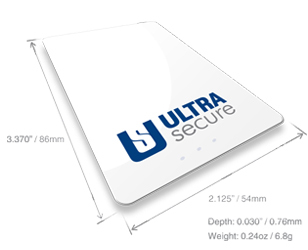 UltraSecure cards are compatible with 26-40 bit proximity systems including all standard and most custom formats. A global network of ISO 9001 certified manufacturing and personalization centers get UltraSecure cards to you faster – without the backlogs. Order custom programmed proximity cards in quantities from 10 to 10,000.